Berlin-based graffiti artist MTO painted this mural on the outside of the hip Freret Street music venue. 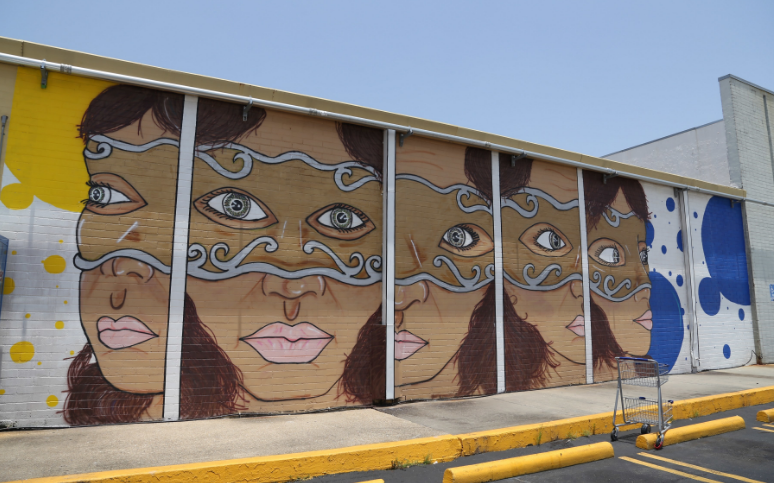 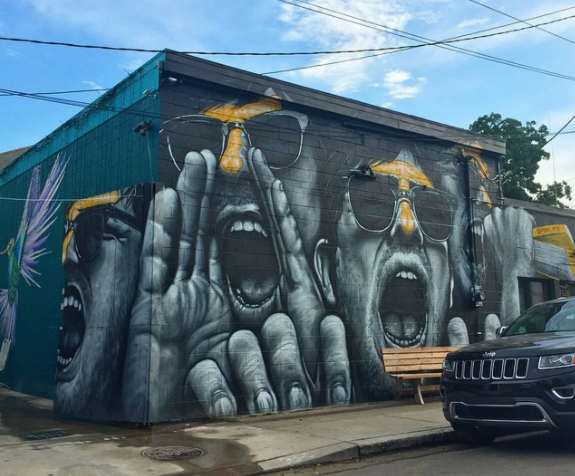 She Dreamed of a Place Called Fat City, a mural in the Fat City neighborhood of metropolitan New Orleans, is intended as an exploration of site-specific storytelling in public space. 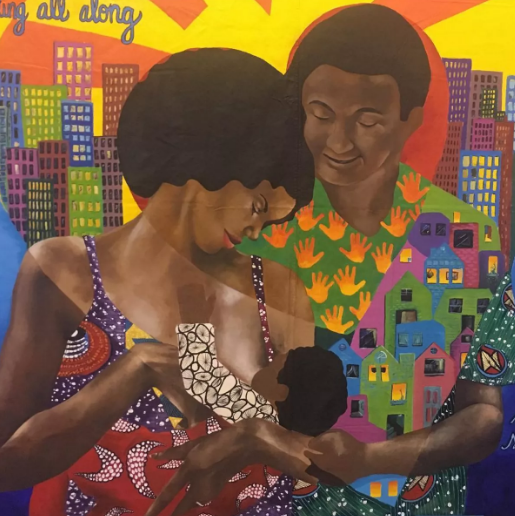 The installation includes a surreal collage as well as a fable describing a woman’s search for meaning as both she and her neighborhood experience change. 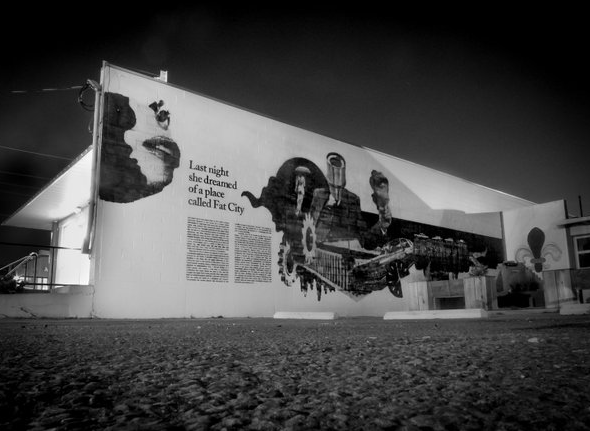 Lakeside Camera Photoworks Mural: “Carnival of Time,” Kyle Nugent. 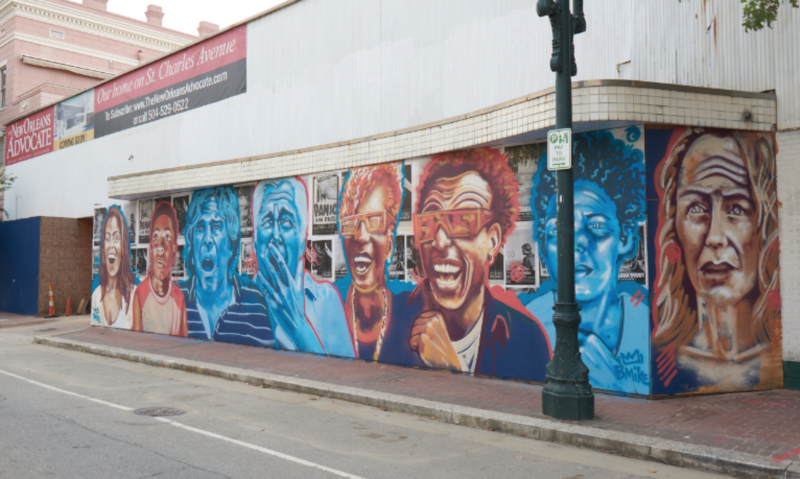 “The Peace Wall” mural in New Orleans East, a cinema-themed mural created for the New Orleans Film Festival. 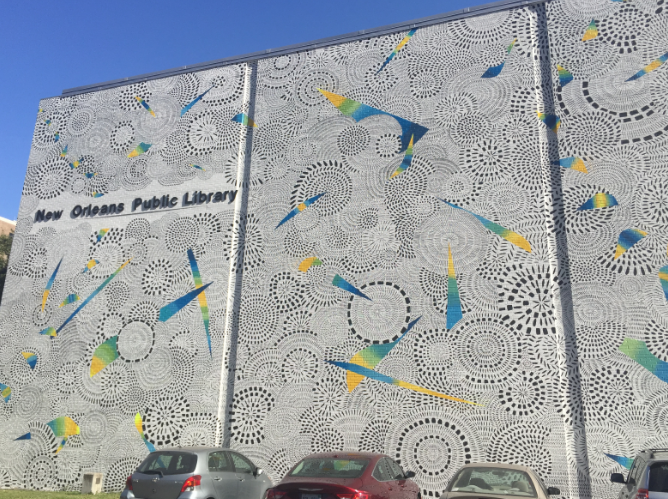 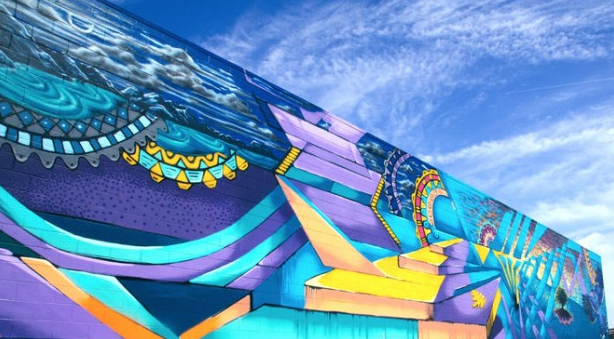 Behind the New Orleans Public Library on Loyola Avenue: MILAGROS, the New Orleans/Miami-based art collective comprising Felici Asteinza and Joey Fillastre, have painted a vibrant, patterned mural capturing the cool vibes and movement of the Crescent City.